Here at Stor More, we understand that everyone looking for storage may not have actually gone through the process of using storage before. 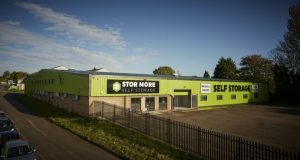 Whether you’re looking for business storage, personal storage or student storage, we like to make the process from start to finish as simple and easy as possible for all of our customers – so here’s our step-by-step guide to how storage at Stor More works, no matter what form of storage you need. Items in storage range from large items (such as furniture) to the smallest of collectables, from stock for online businesses to tools that need to be kept safe, we’ve got rooms to house them all, plus anything in-between. Use our handy storage space estimator to help you choose what size room you’ll need for your items and think about how long you may need the storage for (there is no long-term commitment or contract, but it’s good to have a rough idea). Once you’ve decided which size room will best fit your needs we can give you an instant quote online – you can also compare your quote to the price of other unit sizes we offer too, to ensure you’re getting the best storage for your money! Once you’ve received your quote you can reserve your room for free online, over the phone or instore to guarantee your price. We’ll then contact you to confirm your details. 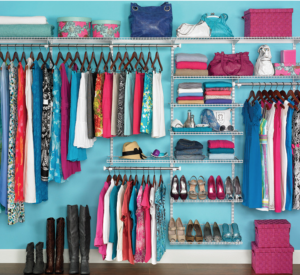 Make the most of your space by packing for storage efficiently. Visit our box shop for all your packing essentials and make sure when packing that your items are secure, protected and well packed. 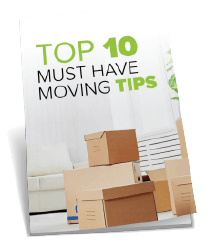 If you need, we can recommend removal firms to help you move your items safely to our store, or if you’re able to move the items yourself, take advantage of our free van hire! Bring some photo ID along with you when you come to sign your storage agreement and insurance cover, then you’re all set to move in! You’re the only person who will have the access code to your unit and we’re extremely proud of our secure storage rooms – each room is individually alarmed and we have 24 hour CCTV across our site in addition to fire and intruder alarms. So, you can rest assured that your items will be safe once you leave. Secure Storage – All our rooms are individually alarmed 24 hours a day with a code unique to you as well as being padlocked with your own lock so only you will have access to your room. Business Storage – Whatever the size of your business we’ve got the storage solution to all your business needs at the very lowest price. Personal Storage – You’ll find the right size personal storage space at the right price at Stor More. Student Storage – When term time is over there is no need to struggle home with your belongings and then struggle back once the holidays are over. Space Estimator – Select your storage unit size to see what you can fit it. King Size Mattress Cover – Made from Strong durable polythene and protects the mattress from dirt, dust and water. Medium or Large Boxes – All are 2 ply Cardboard making them very strong and suitable for stacking without them crushing or collapsing. Padlock Combination & Padlock Keyed – Suitable for securing your room at Stor More Self Storage. Super Grips Gloves – Ensuring you keep a good grip whilst moving and stacking your belongings. Located on York Way in Hull (HU10 6HD) we are a convenient storage unit solution option for residents of Willerby, Cottingham, Eppleworth, Raywell & Skidby.